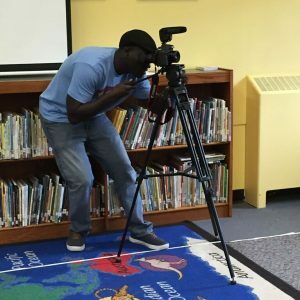 While the book trailer remains a popular way to promote picture books, Kirsten Cappy and I wanted to create a video that might matter to the mission of my picture book, I’m New Here. Could we model conversations with elementary school children on the universality of “feeling new” and on simple ways to be “welcoming”? It was such a pleasure to do this project with Fred Okot Ben, a young videographer whose work is mostly in music videos. Fred’s qualifications for this project include his own history; his Sudanese family came to the U.S. as refugees when he was four. Based on detailed information about the product we envisioned, Fred developed a clear, coherent plan which kept us on track throughout the process. During the shoot, he was at once a relaxed, engaged and attentive presence – by far the coolest person in the room, and completely unobtrusive. His set-up included a simple set of instructions in a familiar environment against a backdrop of library bookshelves. All of this set the children at ease. We planned the video shoot around a workshop with the students, a group of incoming first- and third-graders. I introduced myself, sharing my story of being a child their age, navigating a new culture and new language in a place where I stood out, as if I had a spotlight on me. 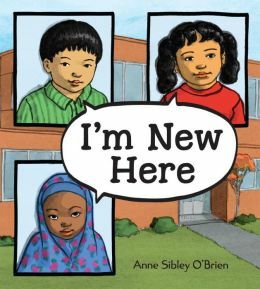 After a reading of I’m New Here, we discussed the characters’ experiences of being new and the students’ own. We generated a list of what it felt like to be new. Then the students moved to tables to draw pictures and write messages based on their stories. We came back together for a discussion of how to be welcoming, generated another list, and returned to the tables to write messages of what students might say or do to welcome someone new to their school. From the shoot came a second piece where I was interviewed by Kirsten Cappy about new arrival books and my mission with I’m New Here. For sixteen years, it’s been just Sofie and her father, living on the New Hampshire coast. Her Cambodian immigrant mother has floated in and out of her life, leaving Sofie with a fierce bitterness toward her—and a longing she wishes she could outgrow. Explore Terry Farish’s research for this novel here. 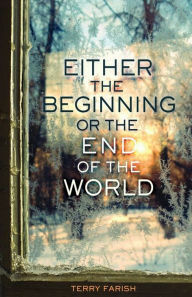 Author Terry Farish maintains a resource-rich blog on the groups represented in the novel here. Download a Discussion Guide here. 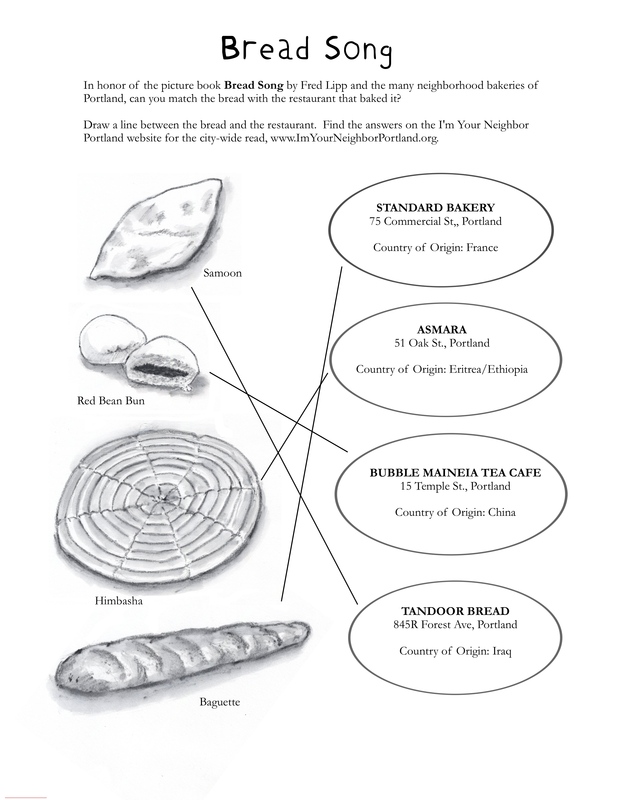 I’m Your Neighbor, Portland was a 2013 Portland, Maine community-wide read and series of public events designed to promote a sense of community among the diverse people who make the port city their home. Want to hold your own community-wide read of New Arrival Children’s Literature? 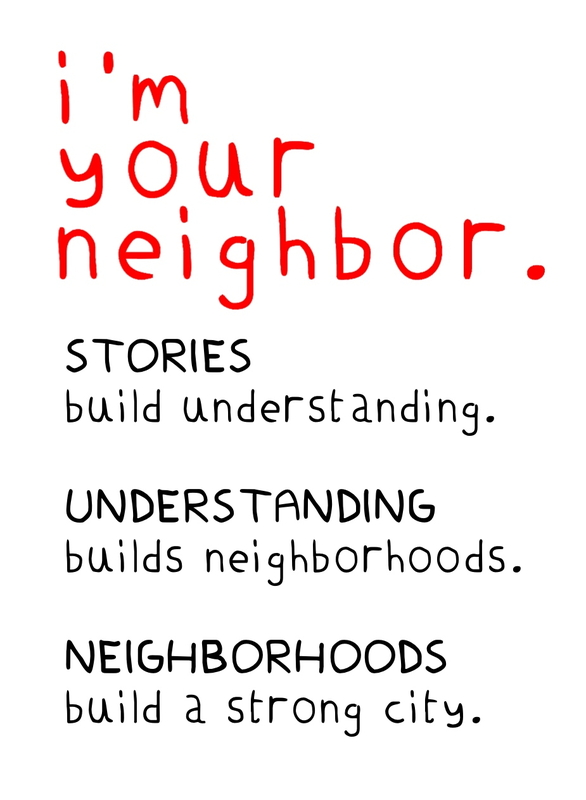 Explore book options and contact us at I’m Your Neighbor Books. Young readers from all backgrounds will appreciate this touching story about the assimilation of three immigrant students in a supportive school community. Anne Sibley O’Brien is one of the founders of I’m Your Neighbor, an organization that promotes children’s literature featuring “new arrival” cultures. As the rate of immigration to the United States increases, topics related to immigration are increasingly more important in the classroom and home. I’m New Here demonstrates how our global community can work together and build a home for all. 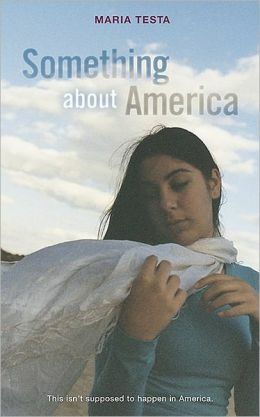 “Readers walk in the shoes of three students struggling after immigrating to the United States. 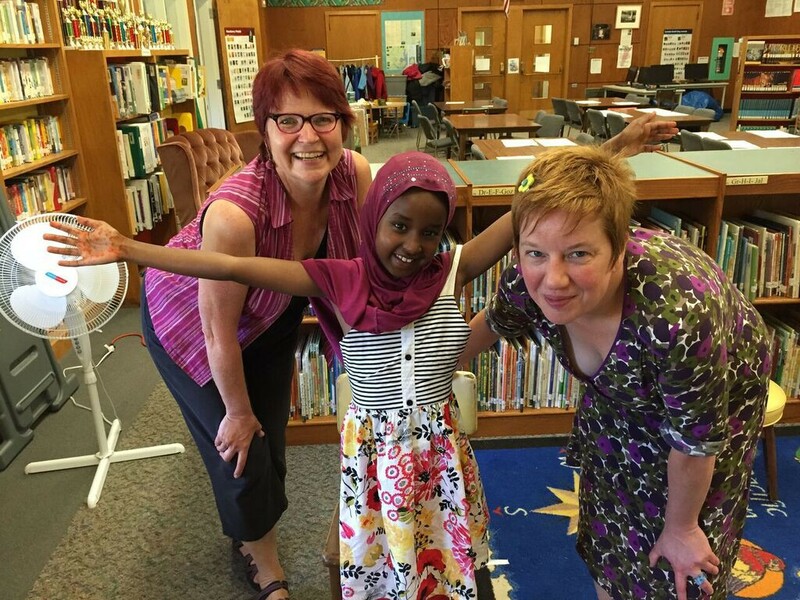 Readers meet Maria, from Guatemala, Jin, a South Korean boy, and Fatimah, a Somali girl who wears the hijab. O’Brien fosters empathy by portraying only one challenge each must overcome rather than overwhelming readers with many. Maria struggles with the language. Though back home, “Our voices flowed like water and flew between us like birds,” the sounds of English elude her. Clever, phonetically spelled dialogue balloons bring home to readers how foreign English sounds to Maria. For Jin, writing is the trouble; the scribbles of American letters close the door to the wonderful world of stories. 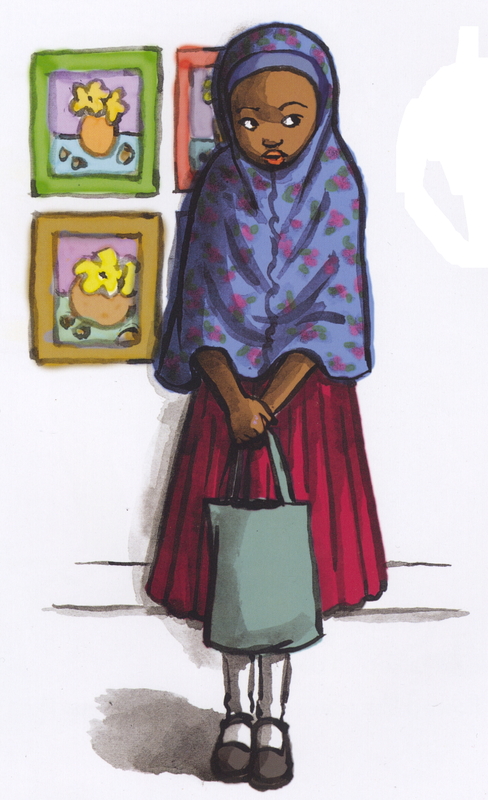 Fatimah’s challenge is abstract: she cannot find her place in this new classroom. Gradually, each child begins to bridge the gap—soccer, stories and shared words, artwork—and feel like part of a community. O’Brien’s watercolor-and-digital illustrations masterfully use perspective, white space, and the contrast between the children “back home” and in their new settings to highlight the transition from outsider to friend. Other diverse students fill the classrooms, including a child in a wheelchair. An author’s note tells O’Brien’s own immigrant story, how difficult the transition is, the reasons families might emigrate, and how readers might help. 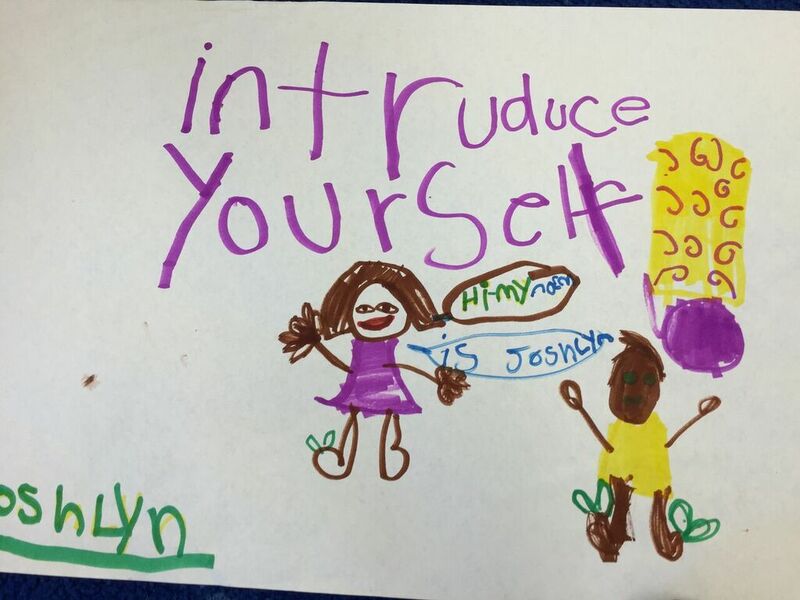 I’m New Here grew in my mind over many years of considering recently-arrived, culturally diverse students, as I interacted with them while creating books, speaking in schools, and evaluating available resources. Though there are many wonderful books featuring individual child immigrants, it seemed to me that in the big picture something was missing. Somehow the emphasis was on what immigrant children needed to acquire, as if they arrived as blank slates, needing to be filled. I wanted to focus on the strengths these children already had, leading rich and complex lives in their home countries, where they know how to fully communicate and participate. Immigration, however it happens, means losses, and it means starting over, having to learn everything all over again. I had the help of many people throughout the process, including ELL and classroom teachers, language and cultural experts, and young students themselves. I read research papers about adjustment issues for immigrant children, and many books by and about immigrants. Leave a comment and let us know how you use this title!